A mestizo (mixed with Spanish and Indigenous ancestry) who looks very Indigenous. An Ecuadorian who comes from the Andes Mountains. A comunero who identifies as “cholo pescador” or “cholo comunero”, an Indigenous fisherman or Indigenous townie. 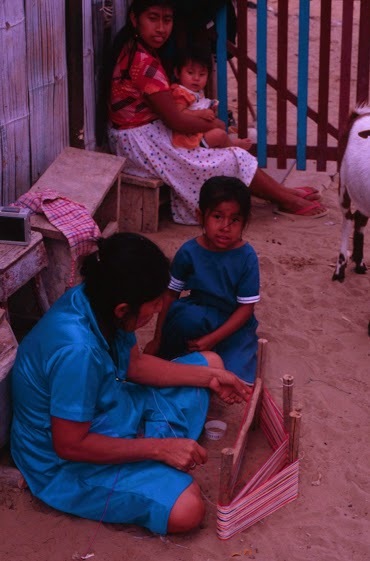 A mestizo in Ecuadorian society tends to discriminate their Indigenous or mixed-Indigenous brothers and sisters by calling them cholos or putting them down with other hurtful names. But neither am I saying that all Ecuadorian mestizos do this. However, most of them would embrace their European heritage over their Indigenous heritage. This makes brown people feel ashamed of our features. Once, I heard comment about a newborn in this context: She looks ugly to say the least. She is too brown. Her hair is straight like a chola. She got nothing from her light father. Not even the blue eyes. The first person who called me a cholo was my biological father. When he used to live with us, he called my mother a chola or Montubia (equivalent to country people). The sad part was he was not even white. He was a brown-mestizo like the rest of us: fair-skin, black hair, and his parents came from mixed-Indigenous background. But they always got on their high horse and spoke about their rich Spanish ancestors who were people of high society in colonial times. They never spoke of their twenty other Indigenous and afro-Ecuadorian ancestors that mixed with the ONE Spanish lineage. My paternal grandmother once argued with me that her fake blonde hair was her natural blonde hair. I was ten when she said that. Trying to own up Indigenous ancestry in Ecuador raises a few eyebrows – especially if your family wants nothing to do with Indigenous culture. This gets even more complicated for costenos (coastal Ecuadorians) who deny every drop of Indigenous blood even though they 100 % Indigenous, speak in Spanish-Indigenous dialects, tell Indigenous stories, dance Indigenous music, and eat Indigenous food. In the United States, people called me a wannabe-Indian because I did not belong to a reservation, wore plumes, or spoke a native language. But, guess what? I don’t need to wear plumes to be “Indian” and neither do the 200,000 comuneros in Santa Elena Peninsula. They define themselves as comuneros, which means “people of a community with close Indigenous ties to their ancestral culture, land, and tradition.” They also call themselves the original inhabitants of Santa Elena or heirs of the Huancavilca, Manteno, Chorrera, Valdivia, and Vega culture that expands 10,000 years of rich Indigenous history. I carry 10,000 years of Indigenous tradition, culture, and history in my blood. Ironically, the comuneros also identify themselves as cholos. They don’t say it to internally insult themselves but to own up to their Indigenous culture. They use the label to empower them to seek national sovereignty over their 500,000 hectares of ancestral land. I quote Jose Barreiro that “in every mestizo there is either a dead Indian or an Indian waiting to reemerge.” We have indigenous and Spanish blood. But we are taught to admire the Spanish culture, speak Spanish, adore Catholic Saints, and dance to Spanish music when in our own very own blood we should also admire our Indigenous culture, speak our Native tongues, adore our Mother Earth, and and dance our native music. In Linda A. Newson’s book Life and Death in Early Colonial Ecuador, I discovered that Ecuador had a population of 60% indigenous and 22% mestizo in 1957. Sixty years later, it’s the other way around: a mestizo population of 70% and indigenous population of 5%. Indigenous people are going through a cultural genocide. They are forced to assimilate to Ecuadorian society in order to make ends meet. In Santa Elena, Guayas, and Manabí, the government sent out the last census a few years ago to the comunas and gave them three options to ethnically identify themselves: Spanish, Mulatto, or Mestizo. But there was no option for: Indigenous. If we embrace our Indigenous culture, these statistics could easily shift to represent a different demographic in Ecuador in the 21st century. This also applies to Latino populations in the Americas. About 100 million people in both North and South America are federally recognized Indigenous nations, but 500 million are metiz, mestizos, or mixed-Indigenous ancestry. When combined, this roughly represents about two-thirds of the total population in the Americas that carry Indigenous heritage, culture, and traditions. That’s why it’s important to know who you are and where you come from. Labels like Latino or Hispanic only confuse our brown-mestizo population and sometimes do not represent the Indigenous population that migrate to US from Latin America. This entry was posted in October 2013 and tagged Afro Ecuadorian, Andes, Cholo, Ecuador, Huancavilca, indigenous, Jose Barreiro, Latino, Mestizo, Quinde. Bookmark the permalink.